Zhengzhou FUMU Machinery Equipment CO.,ltd – Our Company mainly manufactures the coffee vending machines, milk dispensers, soda vending machinse, water vending machines. 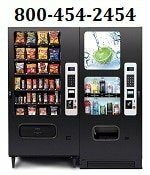 Our vending machines are made of high quality material, in order to provide you the best quality product with competitive prices -Our Guarantee!! INHYANG COMMERCE PHILIPPINES CORPORATION, a worldwide distributor established and registered in the Security Exchange Commission on September 15, 2008. ICPC is one of the branches of INHYANG COMMERCE CO. LTD. (Korea) . Our company is one of the biggest leading distributor and wholesaler of coffee, hot chocolate, paper cups and vending machine in the Philippines. Philippine Vending Corporation established in 1997, We are the largest vending operator and number one office convenience provider in the country. We provide complete service operations from installation, replenishments, repairs, and periodic maintenance. Based out of Pasig City. 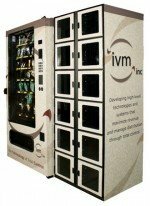 Tri-East Philippines, Inc. – Vending Machine Equipment Distributors.